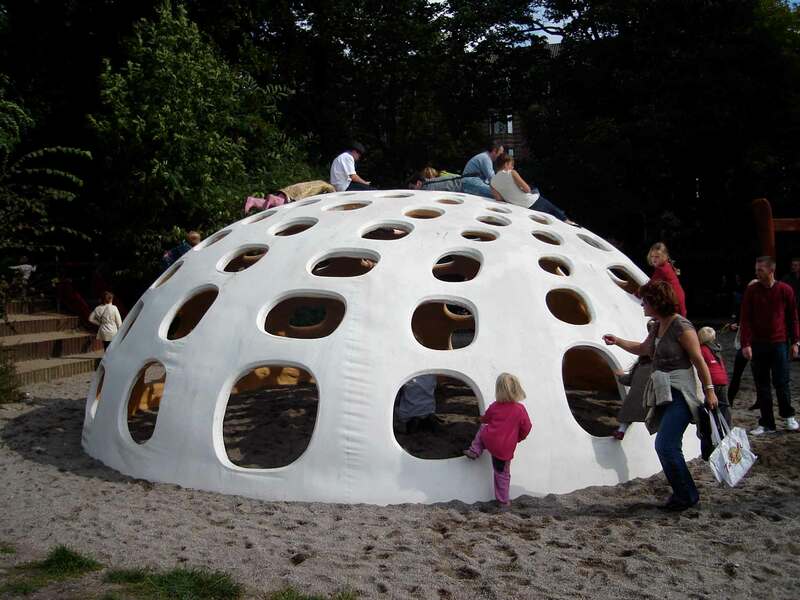 This playground sculpture is located in a small, romantic park in the suburbs of Copenhagen, Denmark. 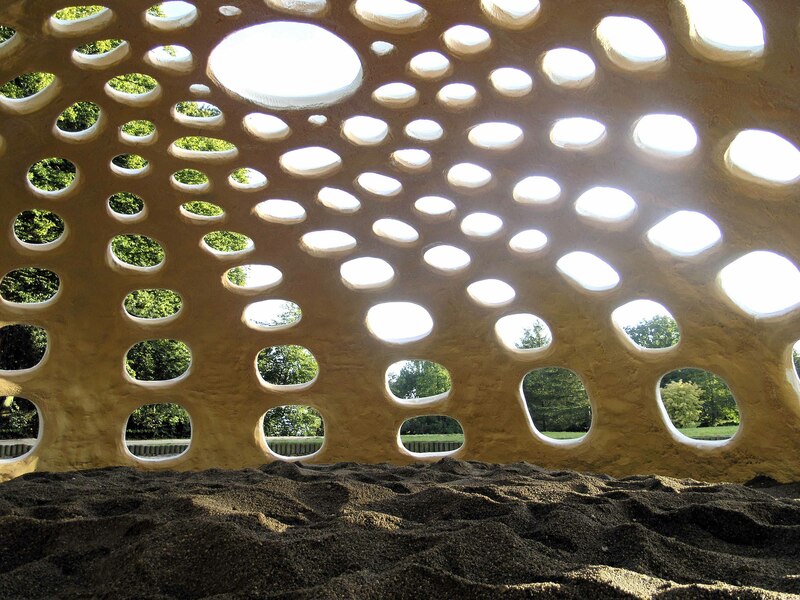 the surface is slightly vibrating, which evokes an incredibly calming effect in your body. 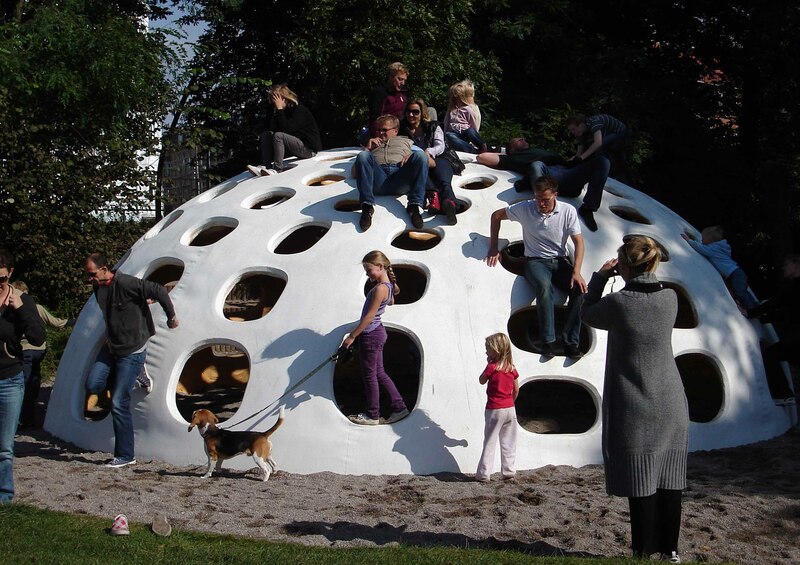 and for the adults its a perfect location for a relaxing break. 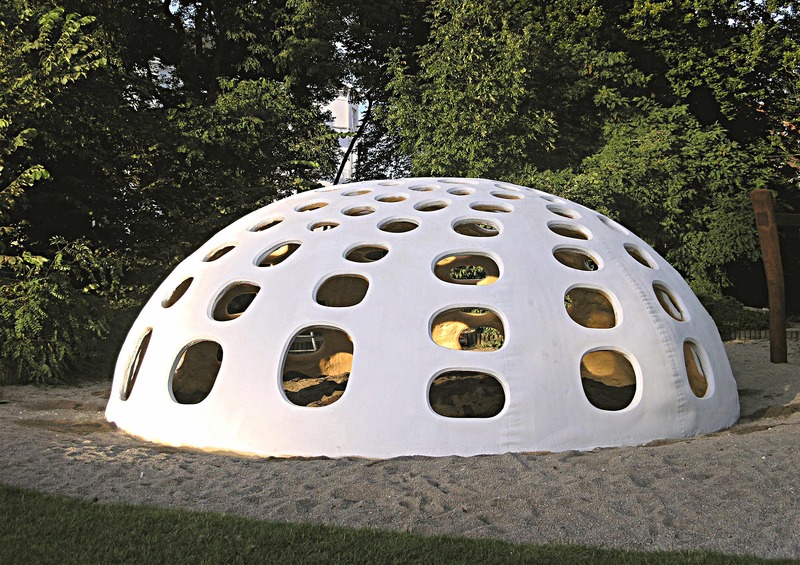 you feel protected and safe inside, yet the many organic shaped holes in the dome, arranged in a double spiral formation, makes you feel intuitively connected with the world outside: trees, grass, the sky, space … and eventually – your self. 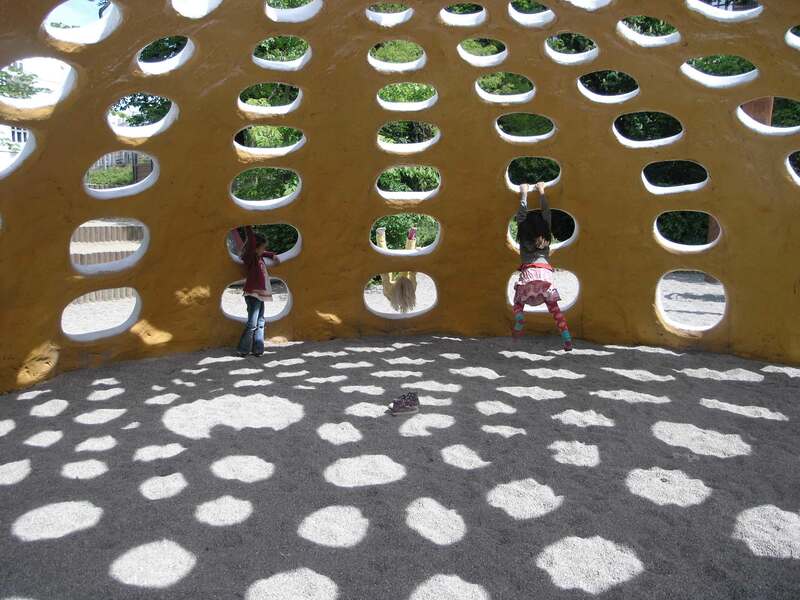 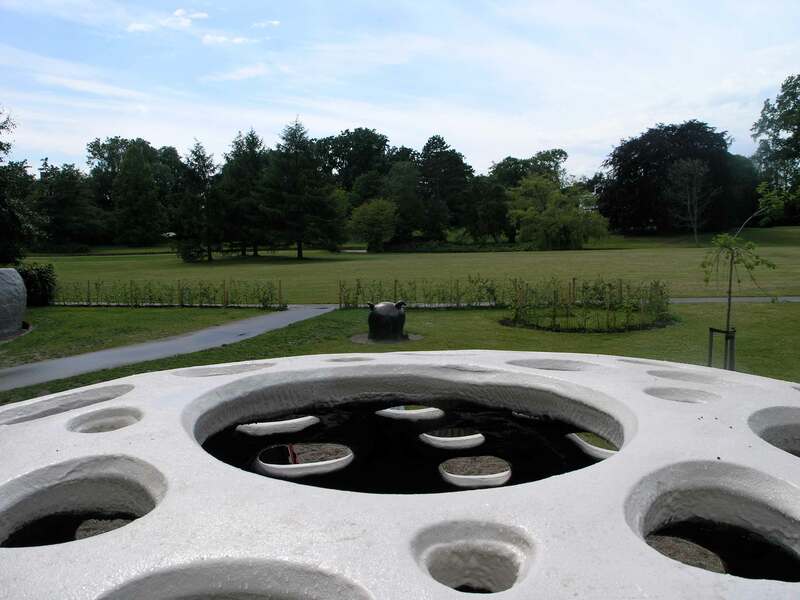 The holes are designed to be too big to climb for children under a certain size.